So you’ve decided that you’re not happy with your old kitchen? Excellent. Now for the fun part…deciding what your masterpiece will look like. If you’re looking for inspiration, it is around every corner. In fact, there are so many choices on the market that you may never want to settle down. The “searching” stage of your remodel is a lot like dating, and as a well-educated consumer, you should always practice “safe-searching.” Be prepared to record ideas whenever the moment presents itself. Make sure you have your pen, small note-pad, camera & voice recorder…or just your smart-phone (which does everything that the aforementioned gadgets do) and get out there. But remember… in the world of dating, there are many places to look for ‘the one,’ so you may find true kitchen love where you least expect to. One fun place to pursue kitchen remodel ideas is in magazines. For a small price and low stress, you can view hundreds of kitchens worthy of magazine space. If you’re unfamiliar with the magazines available, here is a website full of home and garden magazines complete with descriptions and reviews. And remember, the magazine doesn’t have to be specific to kitchen remodels, just something having to do with kitchens in general, as they’ll all have pictures. The Internet also holds an array of photos, articles and videos that describe all parts of kitchen remodeling. Simply type “kitchen remodel ideas” into your favorite search engine (or get more specific if you have an idea of what you want) and you’ll have access to limitless images and articles without even leaving your couch. If you’re thinking it, chances are, someone else has written about it. Browsing through your local home-goods or hardware stores can offer incredible concepts on how a new kitchen should look. It may take a little time and energy, but the effort is well worth it. Kitchen Showrooms or local home shows will offer many products that you may not have realized exist, including new appliances, space-saving cabinetry, custom stove tops, etc. Not to mention, you’ll be able to ask experts any questions you may have. Don’t forget to bring your camera and note-pad to take note of styles that you find attractive and keep them in a little “look book” with all of your other ideas. Be sure to jot down any pricing information you discover along the way, as you’ll refer to this when turning your ideas into reality. Who hasn’t enjoyed HGTV and TLC shows for some wonderful ideas for remodeling a home? Here you’ll find lots of ‘before’ and ‘after’ scenarios as well as many walkthroughs, and you don’t have to do any work. Find out when your favorite home remodel or buying shows are on TV and take the time to watch them. Think of it as quality research. 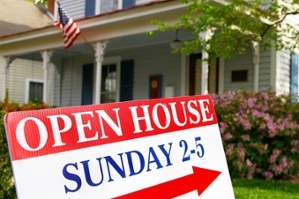 Another option is to visit open houses or model homes. Prior to selling a home, many homeowners will remodel their kitchen to move the home faster. Though this method can be a little sneaky, it also can be a great way to get ideas for your own kitchen remodel. Friends and family are also great resources. You may be surprised to find out how much they know about kitchens. Just as you’re an expert with your current kitchen, they’ve got a wealth of knowledge on their kitchens (current and previous). They may have some ideas or kitchen design tips worth considering. Perhaps from experience, they have helpful reviews of flooring, lighting, cabinetry or overall designs that they’ve encountered. Make sure you take time to research and weigh your options. True love is out there, and you’ll have a blast looking for it.